Where Did Papaya Originate and What Makes It Unique? The fruit of the Carica papaya tree, otherwise known as papaya, was once described by Christopher Columbus as "the fruit of the angels." Papaya is native to the tropical regions of the Americas and was originally cultivated in Southern Mexico. Nowadays, it is cultivated in most tropical regions of the world. Papaya is a tree-like plant characterized by a single straight stem and a crown of leaves. The lower leaves start shedding off as the plant grows upwards. Papayas come in two varieties and are available in various sizes. One variety has deep orange flesh and the other has yellow flesh. 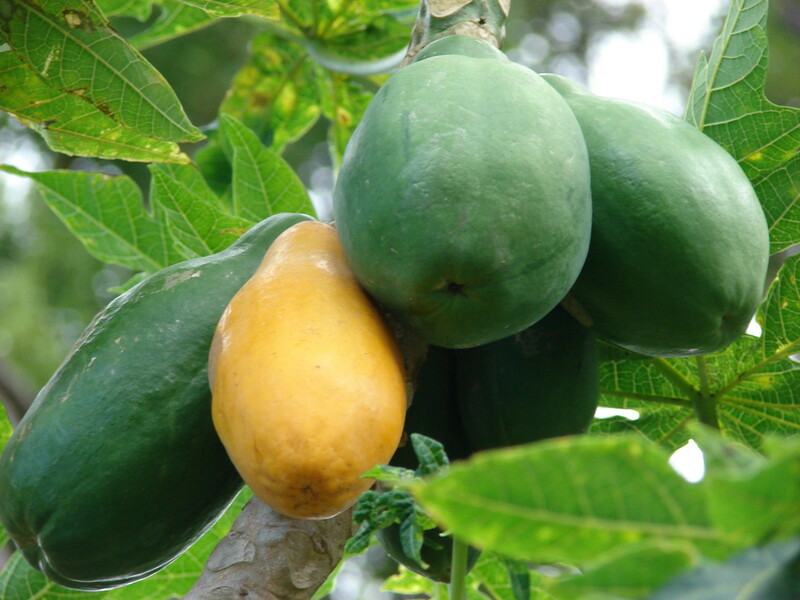 Green papaya is the unripe fruit of both varieties. The papaya fruit is shaped like a large pear and grows to be 7 to 20 inches long. The flesh has a soft, silky smooth consistency and is sweet. The seeds are black and round and have a gelatinous covering; they are edible but have a bitter, peppery taste. All the parts of the papaya tree including the fruit contain papain, a protein-digesting vegetable enzyme equivalent to pepsin (the protein digesting animal enzyme). Raw papaya has a higher concentration of papain than the ripe fruit. 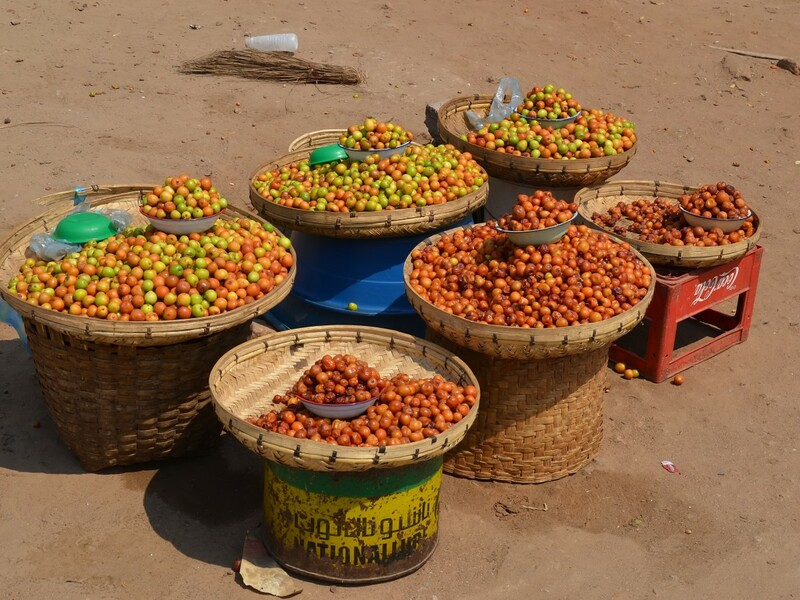 The pectin of the fruit is used for making jellies. The black seeds are sometimes used as a substitution for black pepper when ground. 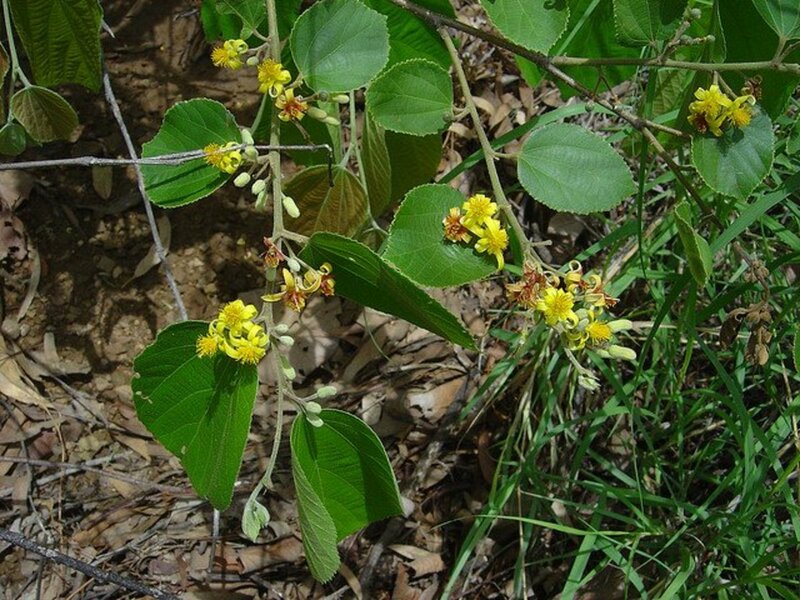 The extracts are used in soaps and other skin care products. Papain from papaya is used as one of the ingredients in some chewing gum. Papain in raw papaya is used to tenderize meat. Tablets made of papaya are used to remedy digestive problems. Papain is used for treating cuts, rashes, burns and bites. The flesh is applied topically. Papaya may help to remove parasites from the body. Papaya is rich in precursors of vitamin A, vitamin C, vitamin B complex, folates, minerals and fiber. 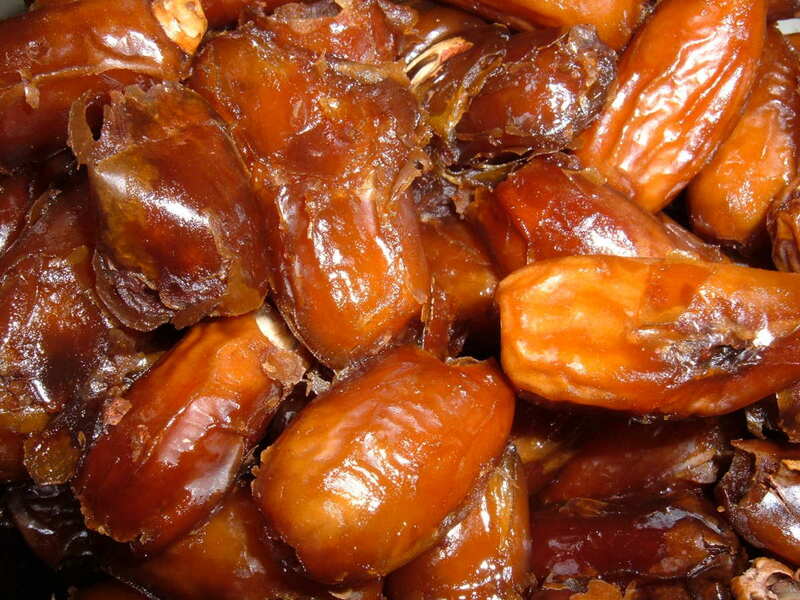 It is rich in antioxidants, low in sodium, low in calories, high in potassium and does not contain cholesterol. Papaya skin and seeds contain numerous phytochemicals including polyphenols. Papaya fruit and other parts of the tree contain papain, a protein-digesting enzyme. Prevents blood vessel damage, strokes and heart attacks. The folic acid converts homocysteine into benign amino acids (unconverted homocysteine damages blood vessels). The enzymes thin the blood and lengthen clotting time. Can cause spontaneous abortion. 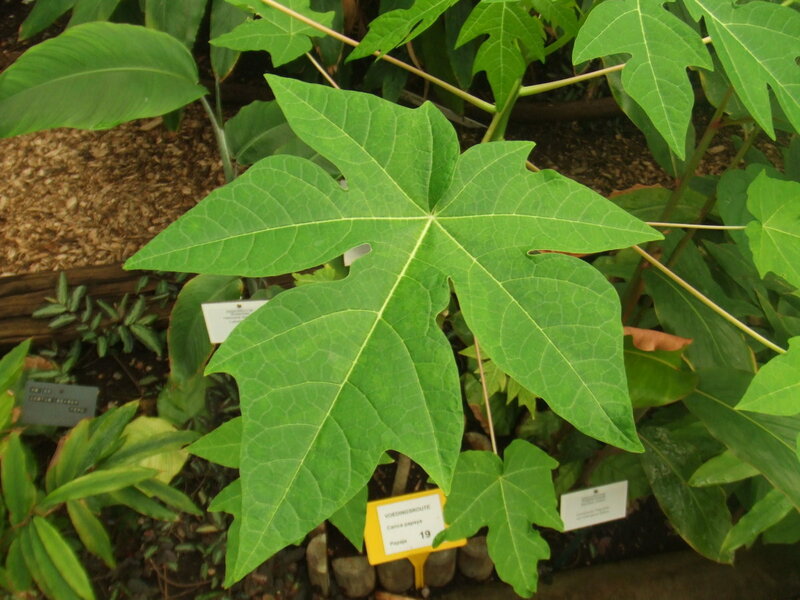 The latex in unripe papaya can cause contractions of the uterus. Prevents constipation, controls diarrhea and reduces the risk of colon cancer. Cleans and strengthens the stomach and intestines. Papaya prevents nausea. May cause appreciable gastritis. Large quantities may exhibit powerful laxative effects. Contains papain, chymopapain, antioxidants, vitamin C, vitamin E and beta carotene; useful in treating and healing burns, asthma and arthritis. 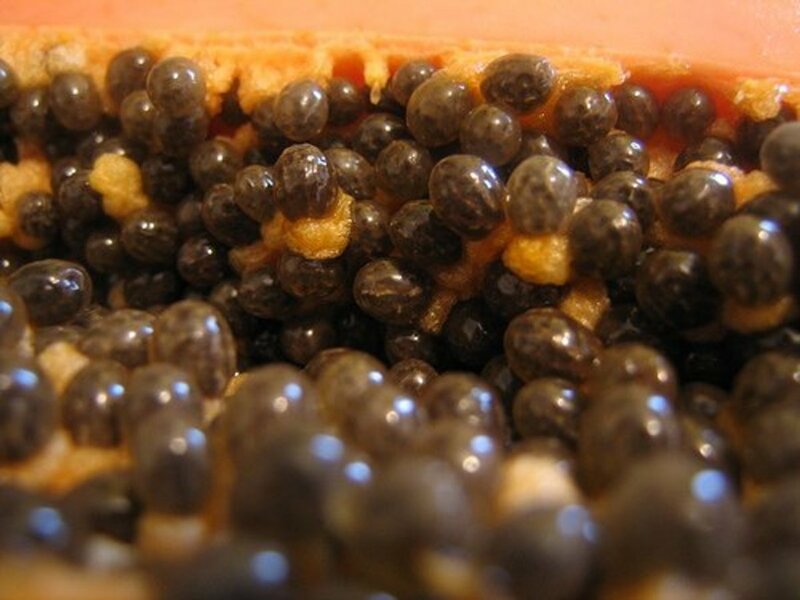 The papain enzyme may cause stomach disturbances, rashes, itching, swelling, dizziness, breathing and swallowing difficulty and allergy-related side effects. Excellent protective action against macular degeneration. Lighten skins and relieves acne. Used topically to treat ringworm. Controls dandruff and is good for the hair. Raw papaya can cause sores. Excessive consumption may cause yellowing of the skin and palms (reversible). Lowers cholesterol. Prevents the oxidation of cholesterol. When cholesterol is oxidized, it sticks to the walls of the arteries and narrows them leading to heart disease. The fiber content reduces cholesterol. Improves immunity due to vitamins C, E and A. The information provided in this article is not a substitute for professional medical advice. Please consult your physician or healthcare provider before taking any home remedies or supplements. Papaya seeds are edible but they taste bitter and peppery. 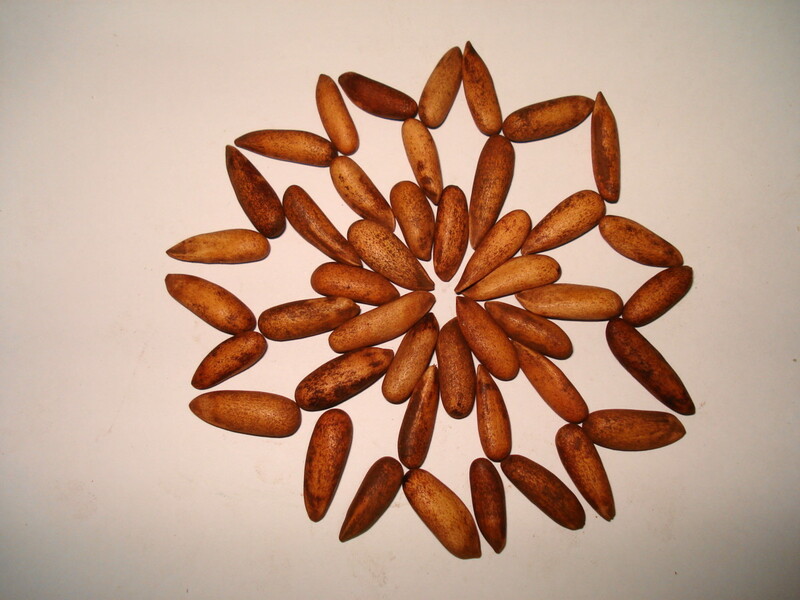 The seeds contain papain which is a natural tenderizer. Papaya seeds have antibacterial properties and protect the kidneys from toxin damage, remove intestinal worms and detoxify the liver. The seeds are high in fat and protein and contain a good amount of calcium, phosphorus and magnesium as some research studies indicate, although the USDA has yet to provide the nutritional composition of papaya seeds. Papaya latex is obtained by scoring or making cuts on the green, unripe fruit's surface every day for 4 to 5 days until the latex flows out. Latex has two enzymes: papain and chymopapain. When dried, the powder is sold as a meat tenderizer. Latex also has other medicinal uses and is incorporated into mattresses and clothing. What Does Papaya Latex Look Like? Use only ripe papaya that has reddish-orange skin for immediate consumption. Fruit that has yellow patches and is slightly green will take a few more days to ripen. These unripened fruits can be covered with newspaper or placed in a paper bag along with a banana to speed up the ripening process. Ripe papaya should be firm but give with gentle pressure. The skin should be blemish-free. A few black or moldy spots are okay and will not affect the flavour of the flesh provided that these blemishes are not due to bruising or cuts on the skin. When stored in the fridge and covered in a plastic bag, the ripe fruit will keep for about a week. Made from the leaves of the papaya tree, this tea is rich in digestive enzymes, vitamins A, B, C, E and the minerals zinc and phosphorus. Protection against tumors and cancers. Protection against alcohol-induced gastric damage. The correction of digestive issues. The reduction of swelling due to its diuretic effects (exercise caution if you are taking other diuretics). The tea can result in excessive fluid loss. Take papaya tea as directed. Chop up three leaves and cook them in one litre of water. Simmer until the water is reduced by half; strain and store in the refrigerator. The proper therapeutic dose is 50 mL three times a day. Papaya tea keeps for about three days. If you do not have a fresh supply of leaves, consider preserving the leaves either by drying them or via lacto-fermentation. Carica Papaya (pawpaw) is well known in some parts of the world for its ability to reverse degenerative disease. 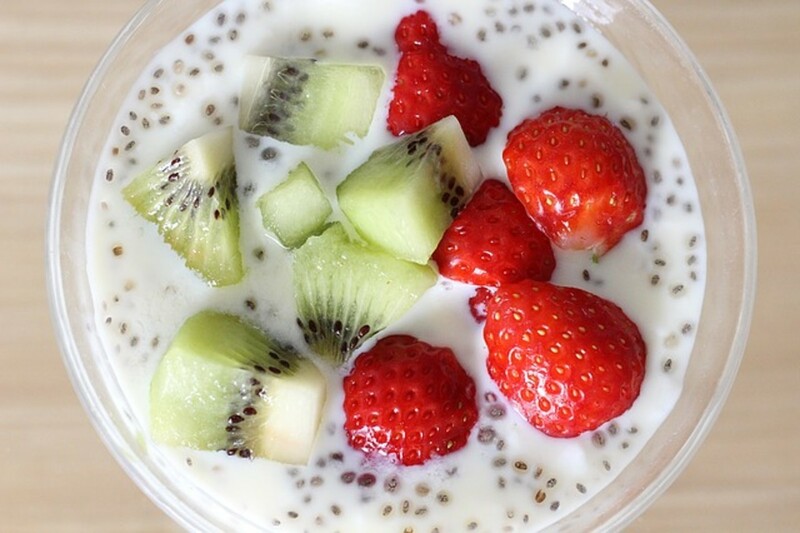 What Is the Healthiest Way to Eat Chia Seeds? You're welcome Raghunandan. Thanks for reading. Papaya is like medicine, which can be taken for any diseases without consulting any Doctor. But somebody told me that if I diced unripe papaya and onion and mixed with some quantity of water that it can prevent jaundice during pregnancy. Very nice article, I enjoyed reading it. Regarding the seeds- raw papaya seeds. How do i eat them ? Thanks Thelma for reading and appreciating. And yes passing it on. This is an awesome hub of yours Rajan. I´m drooling looking at the photos above. Thanks for sharing this useful information. I have papaya trees at home and I love eating them. I did not know that I can make tea out of the leaves of papayas. Thank you very much and I will be making this tea when I´m at home. Voted up, useful and shared. @ Paul-thanks and I appreciate the votes and sharing. This is another awesome hub about a fruit which I have been eating on and off for the past 4o years. 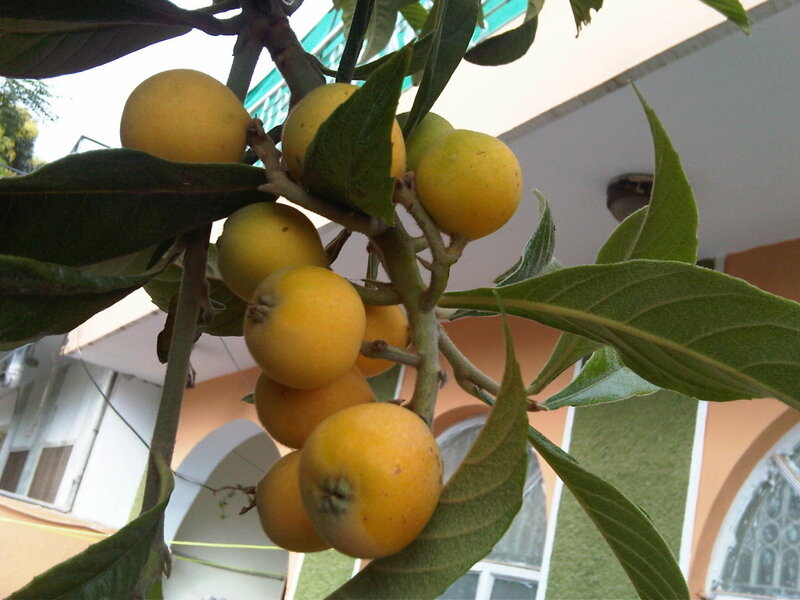 This fruit was also introduced to me while I was in Taiwan in the 70s. Since living in Thailand, I have been eating more papaya because my wife and I regularly eat Thai style spicy papaya salads. 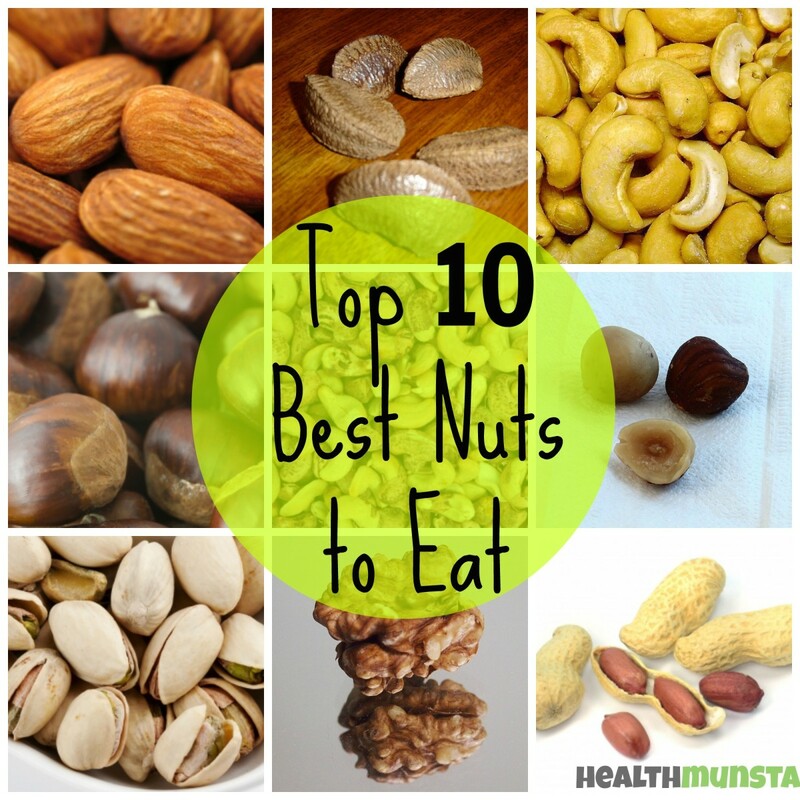 They are great and have just about all of the basic tastes combined into one food. I have seen papaya trees close-up because my mother-in-law has a number of them in her backyard. Voted up and sharing. Also Pinning and Tweeting. @ Lady Jen - I'm glad you like this info and thank you . @ vibesites - Thanks for stopping by. Thanks for reading Samuel. I'm glad you found the information useful. I have got to know much from all that is put in. Thank you very very much. Thanks for reading orange gallardo. Nikhil, thanks for reading this hub. 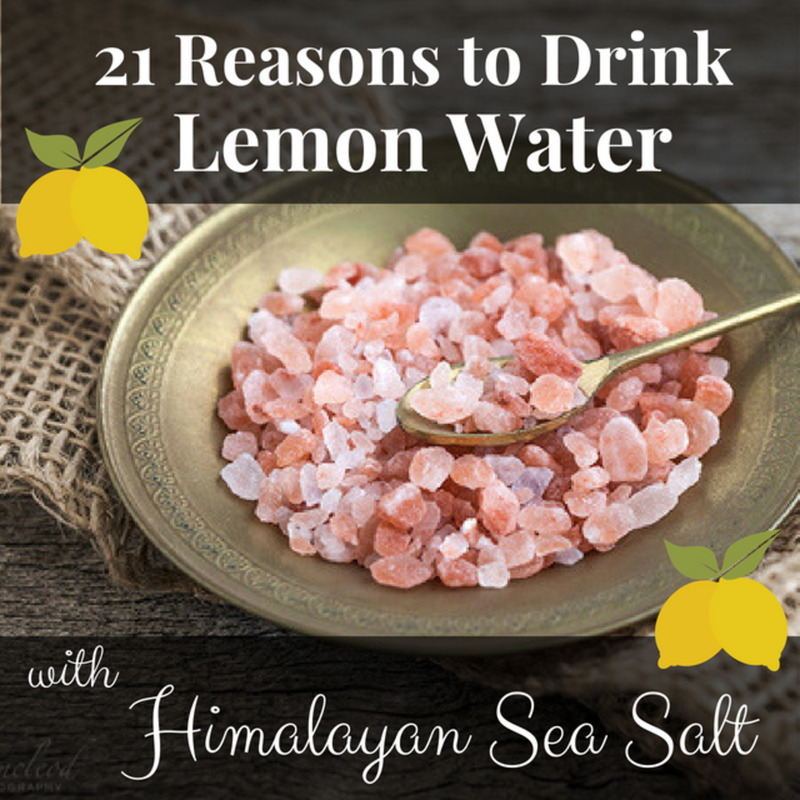 I have written on a variety of natural foods and other health related therapies. You can visit my profile to have a look. Thanks a lot for being here. Papaya is billion time good fruit. CZCZCZ, papaya in any form is beneficial to health. Thanks for your appreciative comments and thanks for sparing some time to read my hub. 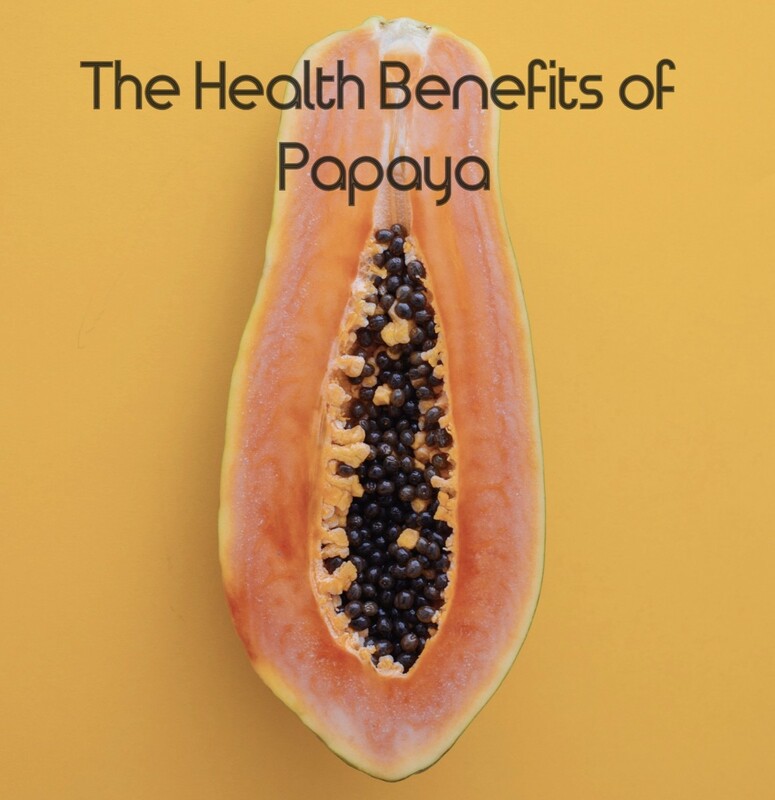 I love to include papaya in a fruit salad and making a green Papaya salad is delicious thanks for writing this hub so I could understand the health benefits of the Papaya better. Thanks for stopping by, Brett. 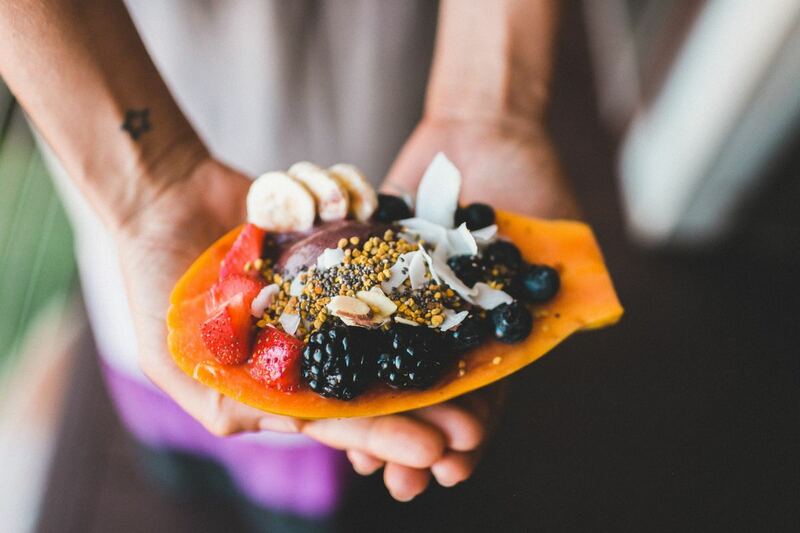 Of course, papaya is a delicious way to remain healthy. Thanks for the inputs and sharing. Papaya is a delicious fruit and with many benefits, as you explain. I had never had this before I moved to Thailand, but eat it all the time now. JS, if each one of us does his bit,we could change the world. Thanks and may you continue the good work. Ruchira, thanks for the read. Your visit is always welcome. Tina, I trust you have been motivated enough to start eating more of this excellent healthy fruit, since you already like it. There are so many ways in which one can use them. Thanks for being taking out time to read and leave your appreciation. Thank you for your compliments Rajan! It is good to know that I am making a difference on HubPages. I wish I could change the world! Wishing you the best as well! Again...one of my favorite fruit. m0rd0r, nice to see you again. I appreciate that you are motivated enough to go and get a papaya. Thanks for voting and appreciating. Inani, it's great to have first hand info from a user.It lends credibility to the hub.Thanks for stopping by and your comments.I appreciate it. J.S, Thanks for all the appreciation. It's been a real pleasure to have a dialogue with you. I have always appreciated your welcoming new hubbers as I read these comments most of the time. It's a great help to those just joining and you really lead the way by welcoming and then offering some great start off links. Great work. Wish you the best. Very comprehensive hub. Voted up. We had a papaya plantation in the Philippines before and what I love most about this fruit is its laxative properties. Unfortunately, I suffer from constipation and this is the only natural remedy that I allow my system to have. Thanks for this hub! Really comprehensive and informative! Rajan, I do thank my wife every day. She is very good to me and always looking out for my health. I see the link right above the video and I am very honored that you included it on your great Hub Article! It is so great to enjoy people from the other side of the world in real time, and to be able to learn from each other. Your articles are very organized and I enjoy reading them. Most of the ingredients you write about are native to my wife's cooking and it is always good to learn about them from a different prospective. You are a great teacher. Thank you very much for everything. alocsin, thanks for stopping by. Home grown papaya is emotionaly satisfying. But you are lucky you do get to eat them. Thanks for the vote and appreciation. J.S, I have included a link to the delicious papaya salad in this hub. I'm glad you have started consuming the pomegranete fruit and seeds, just for its health benefits, if not for anything else. Nice to know you like them now. You have to thank your wife for that. You are very good in representing your online niche! Keep up the great work and never stop! A comprehensive view of one of my favorite fruits. We used to grow these in our backyard in the Philippines. Now in the U.S. I can only get them in stores. Voting this Up and Interesting. You're welcome! I did enjoy the mango Hub. I also left a link to a delicious papaya salad in the other Hub. I hope you enjoy it! Thanks, J.S. It's very difficult not to appreciate papaya once one tastes its subtle flavour and I agree with your wife that a cut papaya looks very inviting and awesome. Thanks for the vote up my friend. Hope you like the mango hub too!! Another useful information filled Hub Rajan! My wife is drooling over the photos! We do like papaya very much. Now I am headed to your mangoes Hub! Voted up!